Perhaps it has been a long time since you have felt truly rested. Worry and fear are draining. Many times the problem is that we look for comfort in the wrong places. 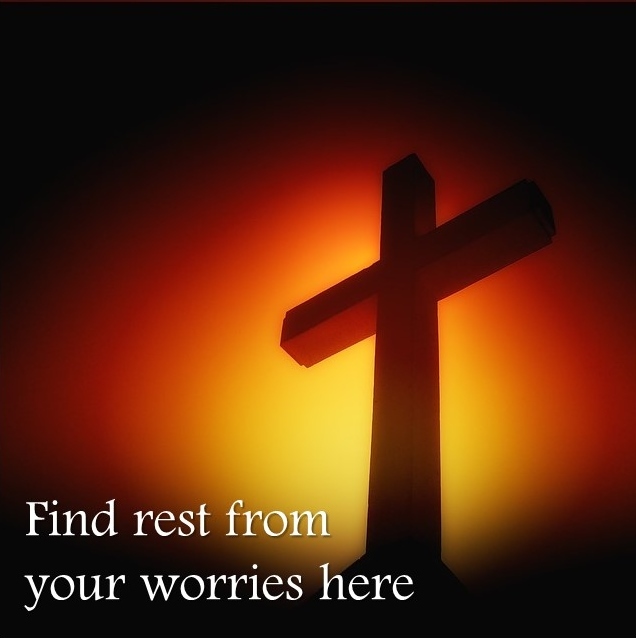 Through prayer for anxiety relief, you can find true rest. One of the biggest reasons we get stressed is that we look for rest in other people. We expect certain reactions from them, and when they react differently it takes away our peace. It’s not wrong to hope for good things from people, but we shouldn’t expect it. Remember, they are facing their own wounds and weaknesses just like you. This also can hurt the other person since we place the burden of our well-being upon them. Many times we are even harder on ourselves. When we don’t live up to our own expectations, our disappointment drains us. Looking for security and rest in life circumstances is another trap. Because when situations suddenly change, we often find it hard to cope. Other mistakes are seeking rest in personal appearances, possessions, money, or consumerism. The reality is that there is only one place where we can find true rest. Let’s see how this can work for you. When we look for comfort only in God we are never disappointed! Think about how liberating this is. It allows you to be free from the mistakes of other people and the circumstances of the world. No matter what happens, you know where to find peace. God is the source of your well-being, not our imperfect world. Meditate upon the following verses, and you will find that your worry begins to subside. As we can see, God is in control. True rest comes from him and only him. Don’t be a victim of the inconsistency in people. Don’t put a burden on them that they don’t deserve. This frees you to be merciful and patient. Know that Jesus carries your burden for you. Go to him in prayer every day and rest in him. Praying for my family. God is our refuge and our strength. Merciful god. Help ou family this holiday season for hope , miracles and peace. Lord thank you for your abiding love. And joy. Praying for you family… may God pour his mercy and grace over you all. In Jesus’ name, Amen.